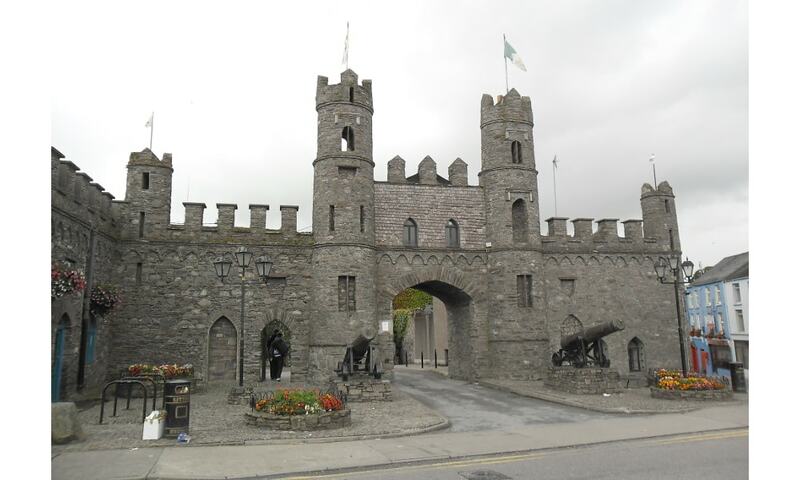 Macroom Castle stands in the town of Macroom, halfway between Cork and Killarney, guarding the historic ford across the River Sullane. The main building, based on the original keep, is a three story 6 bay by 3 bay block, which is now covered in ivy. The only other remaining building is the gatehouse and attached walls.